Just finished watching the coverage of the Olympics' opening ceremony. Katie Couric is the dumbest human being alive. Finally, a candidate The League can believe in! Yes, tonight the Olympics begin in Athens. Once every four years I get a chance to complain that all they ever show is 14 year olds on a balance beam. This is something, normally, nobody would tune into if you PAID them. But, once every four years we tune in like nobody ever walked on a balance beam before. While The League is not an official sponsor of the Olympic games, the League BELIEVES in the Olympic games. We may get bored with some of the sports, but we like the amazing things which can happen. So The League will be constantly seeking out TaeKwonDo, basketball, track & field events, and soccer. The League encourages you to tune in, too. And to count the number of McDonald's commercials. Because, despite the fact no Olympic athlete in their right mind would ever eat at McDonald's, McDonald's buys ad spots all over the Olympic coverage every time. 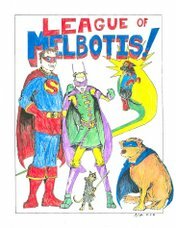 Heidi McDonald writes a good Comics Blog. So far, I have forgotten to link off to her. But today, I couldn't pass this up. It's a panel depicting a confrontation between Dr. Doom and Luke Cage (aka: Power Man). Go here to see some clunky, clunky dialog. 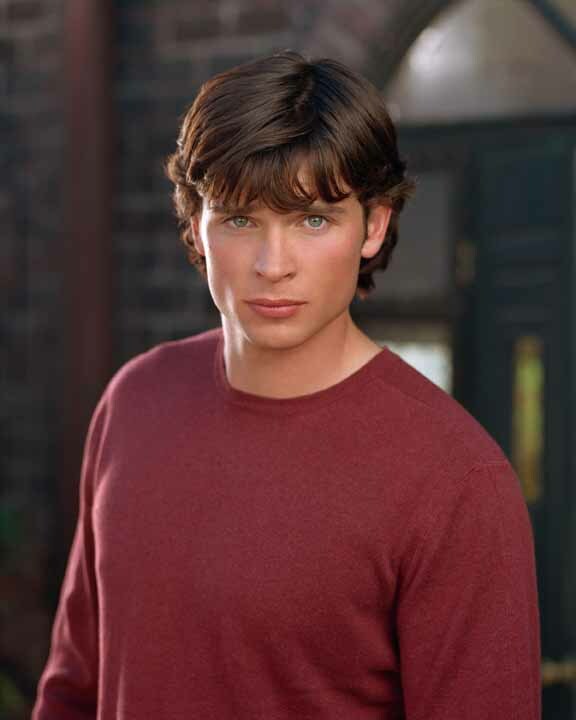 the guy who plays Clark Kent on the WB's Smallville, Tom Welling, has signed on to star in a new movie. But Tom cannot say what movie quite yet. Curious that 1) he can't say which movie at the moment, and 2) that the Superman movie is finally getting rolling under director Bryan Singer. Apparently there's a contingent out there who believes Welling has signed on to play somebody named "Goku" in a live action Dragon Ball Z movie. I have never watched Dragon Ball, but I think they're talking about the monkey dude with the awesome hair. Wow. I hate to think Tom would pass on Superman for a monkey-man role, but more power to him. Speaking of Smallville... on The Superman Homepage, there's also a rumor that Flash II, Barry Allen, will make a guest appearance on Smallville this season. I'm a little young to be a true Barry Allen fan, but that sounds like good news to me. Disclaimer: Some serious nerding out to occur in this post. Look out. New comic book day is Wednesday. Unless a holiday screws up the UPS shipping schedule, your newly minted comics will be at your local retailer each and every Wednesday. And like a good little pre-programmed freak, each Wednesday or Thursday (depending on how busy I am), I go down to my local shop and pick up my weekly stash of comics. There exists more than one Batman comic. In fact, there are probably 8 or 9 of them. Within the industry, the collection of comics surrounding a single character are usually called a "family", and are run under a single editorial head. So, you have a number of Batman comic per month, which can mean more than one Batman comic per week, depending on if you really want to read all of the Batman books which come out. I read all of the Superman stuff, but keeping up with all the Batman stuff is near impossible, and a lot of it suffers from uneven writing and/ or art. Detective Comics (which Batman first appeared in back in issue #27. I think we're up to 800 now). Point being, there are many titles, and I think I read 4 of them. Actually, it's more like... nevermind. But one thing DC promised it would quit doing about two years ago was to create a big-multi-part story which would require you to buy all of the comics from a certain family. The idea was, they would create a huge, industry spanning event which would draw a lot of attention and drum up sales for ALL of the books in the family. But, usually, these stories turned out to be the most half-assed stories all year as more than half-a-dozen writers are asked to write only one part of a story, and only the editor knows what's really going on. And the reader DOES have to buy all the parts so you know what the hell is going on. This means, say I normally buy half of the Batman comics... now, in order to know what is going on in Detective in July, I have to get everything else in June. This might mean 6 or 7 extra comics. As a kid, I enjoyed chasing down all the parts. As an adult, I feel screwed. But DC hadn't done this in two years, coming off the tragically flawed "Joker's Last Laugh" story arc. I'm not a fan of the idea of editor and business driven series, but when the Batman Family editors said "We're doing a huge story arc about a gang-war in Gotham, and it's called 'War Games'", I said: Okay. Sure. Why not. It'd been a while. They kicked War Games off last week with a $0.12 comic, called Batman: The Twelve Cent Adventure. And then, this week, I pick up my Batman comics, one of which is NOT my regular title, but which is necessary to follow the story, and... they wrapped the comics in sealed mylar bags. Apparently there is a promotional CD-Rom for Sky Captain and the World of Tomorrow inside of the bag being sold with the comic. This is a HUGE problem for the collector. Usually I take very good care of my comics between shop and home, read the comics a few times, re-check out the art, blah blah blah... and then the comics get put into a plastic poly-bag. The comics are then put away into longboxes in my closet. At this point, I believe the comics to still be in very good condition. But if the comic is in a sealed mylar bag, I stand a chance of damaging the comic while opening the bag. Also, no matter what... when I OPEN the mylar bag, the comic is instantly valueless. It has instantly lost any claim to being "Near Mint." Which, in collector's terms, means the comic is worth the cost of the paper it's printed on. For REAL collectors out there, a sealed mylar bag means they will need to buy TWO copies of the comic. One copy to open and to read, and one copy to keep in the mylar, which, in turn, whill be sealed in a poly-bag. This, of course, drives sales of the damn comics through the roof. The last time I remember this ploy really working was The Death of Superman, which bagged the Death of Superman issue in a black mylar bag (with a bloody Superman logo emblazoned upon the plastic...). Then, when Supes returned from the "dead", they had a white mylar bag. I have copies of the Death of Superman and his return in the mylar bags and opened. Sigh. I decided not to buy two copies of the same comics as, let's be honest, it's going to be my estate which will be selling my Batman and Superman comics. I'm way too much of a packrat to let those go. Long and the short... DC and Marvel are returning to their money making tricks of the early-90's. I expect foil covers to be making a re-appearance very soon. About ten months ago, The League ran a Halloween movie watching contest. Unfortunately, one of the favored movies from the list wasn't even available on DVD. Tod Browning directed the classic Lugosi Dracula, and then went on to enter this bit of cinema into the field, effectively terminating his own career. Anyway, Jim D. has announced the release of Tod Browning's Freaks. Freaks: Not so much scary as truly disturbing, Freaks tells the story of a trapeze artist, a midget, and a bunch of "REAL LIVE FREAKS". What could go wrong?The first time I saw this movie I was so uncomfortable I couldn't stop laughing. Not in a ha ha, look at the funny freaks way either. More like a "Dear GOD what is that THING?" kind of way, which sounds terribly Princess Bride and horribly un-PC...scary stuff indeed. Plus, I imagine watching this movie will enhance your enjoyment of Carnivale, or pretty much any Carnie work created in it's shadow. Bonus: Chant "One of Us One of Us" at the dinner table and know what it referenced before the Simpsons. Jeff Shoemaker sends along this article about the recent colorization of some 3 Stooges classics. In the article, Lucas rails against altering movies. Jim D is somewhere rightfully gnashing his teeth. I know you don't see this as good news, but if I can get Jamie to finally leave me, I think I might have a chance. I'm going to start hanging around Radio Shack and see what materializes. Fake high school only slightly less accurate than real high school. You kind of have to admire the sheer will to do something this irresponsible and wrong. I mean, this took work. It finally happened. It took until August, but it happened. It's so hot, I wish I were dead. Sorry for the complete lack of posts of late. Nothing afoot or afoul here. Just very, very busy. Karen and Rick, the parental units, were here Friday evening through Monday 7:30am. So that was going on. Plus, we had to actually clean the house a bit in preparation of their arrival. I have to say it was nice having the folks here. We didn't really do ANYTHING, but the change of pace was welcome. Also, looks like King Kong star Fay Wray has died. The world loses another piece of the mystery and magic of early cinema. If you ever see that King Kong is coming to DVD or cable, watch it. It's really a phenomenal movie. I didn't see it until high school, but it's a heck of a lot of fun, the story is engaging, and the effects are unbelievable. I hear they are making another version in the next year or so (directed by LOTR superhero Peter Jackson). Hopefully the movie will do well and inspire a double-DVD set of the new and old versions. And I wouldn't cry if they tossed in the interesting 1970's version starring Jessica Lange and Jeff Bridges in early "The Dude" mode.